Making organizational charts is typically done by hand. This seems like a waste of time when most organizations have data that could be used to automatically create org charts. The trick is to know exactly what data you need. Once you know that, you can compare organization chart software packages that can automatically create all of the boxes and lines you need for your next org chart. What data do I need to build an org chart? First, you need everyone’s name in your organization. Make sure each name is split into a columnn for first names and a column for last names. This allows you to decide to show “FirstName LastName”, “LastName, FirstName”,or just “Lastname” in your org chart. Find (or just create) a unique number for each person. Add this to a new column with the headline “Person ID”. This avoids confusion if two people have the same name or one person is in your list twice. Second, you need all the positions in your organization. Just like you did with everyone’s name, find (or create) a unique number for each position. Add this to a new column with the headline “Position ID”. When so many people have the same position name, it’s important to be clear about the difference between a VP who works with sales in New York and a VP who works with HR in London. In a column next to all of the position names, you can choose to add the name of the unit that each position is a part of. For instance, Finance, HR, IT, Operations, Sales, etc. Add a unique number to each unit name. Add this to a new column with the headline “Unit ID”. For example, label Finance as number 1, HR as number 2, and so on. Once my org chart is automatically generated, how to I keep my data up-to-date? All good org chart software vendors will be sure to separate between the information you provided, and the information that is added automatically by the software. For instance, if you want to export your data from the software, you’ll need to know the original Person ID, Position ID, and Unit ID you created. Likewise, if you want to move data around in the org chart software, it’s very helpful to have another set of ID’s that are unique to the software. For example, you created a position with the Position ID 33. You’ll need that number to connect that position to your other systems like HR, Finance, or Payroll. But in the org chart software, it’s helpful to have another unique number called “Software Position ID” that can be used in making different scenarios, cloning, or editing. If you have an OrgWeaver account and want to watch a video explaining how ID’s work specifically in our org chart software, just log-in and click the “Tutorials” button. In tutorials, you’ll find a button called “How your data works”. Who hasn’t seen an org chart at work? Organizational charts are a vital way to help people understand how their team works together. That’s why bosses keep asking for updated org charts and why employees keep wanting to see where they fit into the grander scheme of the organization. When we were building OrgWeaver, we wanted to make this never-ending org chart creation process simpler and faster. Joan is a person who fills the position of Marketing Analyst. Julie is a person who fills the position of Marketing Manager. Joan reports to Julie in the unit called Marketing Department. Therefore, the Marketing Analyst will be shown as an org chart box below the Marketing Manager. This logic is very intuitive when you draw your organization by hand on a whiteboard. The trick is to make sure that your data is clean and logical so that a computer can understand it and automatically create an org chart based on that logic. What if you have messy data and it’s too difficult to clean? That’s when people start drawing org chart boxes by hand and waste countless hours. Any choice you make has it’s problems, but you’re usually left with making some uncomfortable compromises with your org chart. After all of the time you spent just making sure the org chart was functional, these requests for political changes can be very demotivating. You’ll also receive lots of requests for practical updates as soon as you’re finished with the political updates. Each request seems small, but they actually have ripple effects across the whole organizational chart. Here are some examples of requests that are easy to say “sure, i’ll do that for you”, but then quickly eat up a day’s work. We’re adding 6 positions in Sales next quarter. Add the positions now, and we’ll fill in the people later. Some employee data is too sensitive for employees to see, but is vital for managers to make good decisions. That’s exactly how one org chart quickly needs to be split into many different versions to be shared with different people. Cheer up. Making organizational charts doesn’t have to be so difficult. The first step is to be clear-eyed about why you’re making an org chart and who needs to provide input. The next step is to consider trying an org chart software that automatically creates organizational charts from data. If you’re able to securely collaborate with accurate data on the same org chart, you’ll be able to do more with less effort. And in the end, the org chart you make together will be a vital part of the next strategic decision your organization makes. Have you ever been asked to make a small update to an org chart? At first glance, it seems like such a quick task. There’s no way that “making Sharon’s team report to Joyce” will take much time at all. So, without even realizing you’re about to do something endlessly frustrating, you fire up PowerPoint with your latest org chart. The first problem hits you in the face. The org structure is too big to fit on one slide. It is split over dozens of slides. Finding Sharon’s part of the org and Joyce’s part of the org and viewing them both on your screen at the same time proves difficult. Is that your experience? If not, I’m starting to doubt you’ve ever worked with an organization chart in PowerPoint before. If so, then you’re in luck. We did this same task with OrgWeaver in 5 seconds. 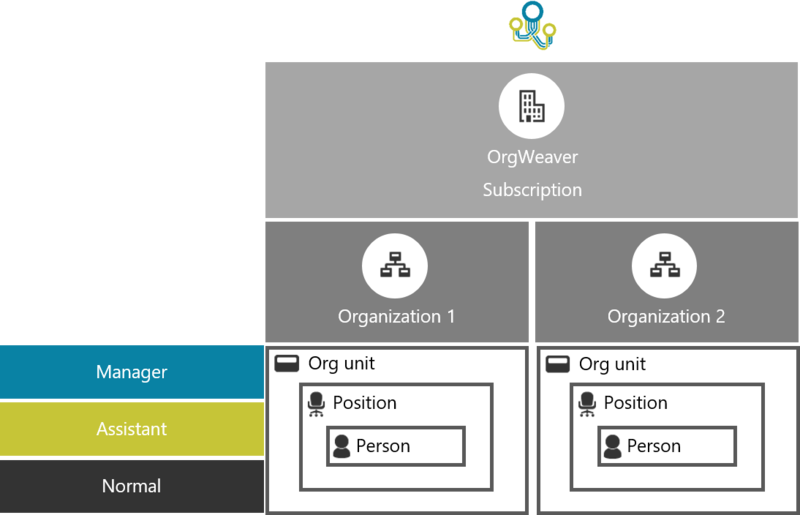 Watch the video below to find out how OrgWeaver is 360 times faster than PowerPoint in making this small org chart change. Imagine what OrgWeaver could do for big organization changes.